Programming is an art as well as a science, it requires one to have a holistic knowledge of core programming concepts along with it’s allied technologies. For becoming a complete full stack developer one also needs to have a strong foundation on concepts like object-oriented programming and database design skills. We at DCT Academy believe that web development is a skill that anyone can acquire, by walking along a true and trusted path for learning. And yes of course! it requires a lot of dedication, hard work and commitment to the program. He is a technocrat and an Engineering Graduate, who was former Chairman of Skandan Industries. He has been involved in Engineering services in the Telecom arena and facilities management with many leading companies for over two decades. His passion for quality and detail has enabled him to achieve greater success in the field of R&D and manufacture. 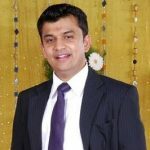 Currently he is the Managing Director of Vinolya Services Pvt Ltd a leading facilities input company. Mr S.Ramachandran has now brought to the field of education his extensive learning and experience with both men and machines. We ensure that each batch contains a small set of students so that personalized attention and monitoring can be provided. Student will receive in hand practical exposure by learning to build software and deploy them. We help those students who work hard and do well in the course. If your code & project work is completed, we will recommend your profile to companies. Each student will have different ability to grasp based on his or her range of experience and work. We ensure that each student will be able to study and work on assignments based on his/her understanding and experience. We have strong community of students who believe in collaborative learning and development where we come together to perform parallel programming and build software. Learning is a never ending process. Hence, we continue to provide help and support to our students who want to learn.